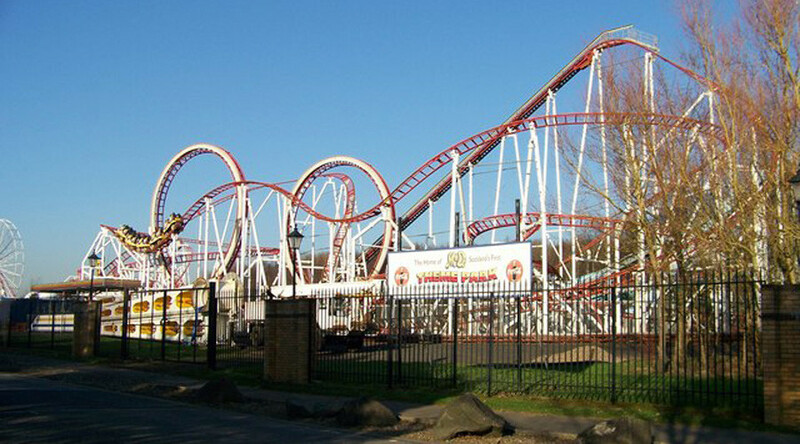 Eleven people have been injured after a rollercoaster derailed at the M&D theme park in Motherwell, Scotland. Eyewitnesses told the Mirror that around eight to 10 people were on board the rollercoaster carriage when it derailed, dropping some 30ft (10 meters) to the ground. A number of people were trapped in the wreckage. Police have confirmed 11 casualties in the incident, two adults and nine children, but did not provide any details about the severity of their injuries. The Scottish ambulance service said six ambulance crews, a special response team and emergency doctors had been sent to the park. Images taken at the park in the aftermath of the incident show shocked patrons removing wreckage and pulling someone clear from the crashed ride. The Tsunami rollercoaster carriage derailed on Sunday afternoon, landing on top of another ride, according to the Daily Record. 1 person still trapped after tsunami ride falls off rails at M&D's. Hope everyone else is OK. The Tsunami just came off the rails at M&Ds. Absolute scenes. Kids look hurt! The theme park has now been evacuated, according to the BBC. In a statement, the park said it would remain "closed until further notice." Nine people had to be rescued from the same ride in 2011 after it came to a halt 60ft above the ground. It took around eight hours for the last patron to be freed. Earlier this year, eight people had to be rescued after the park’s Tornado rollercoaster came to a sudden halt 20ft (6 meters) above the ground.